Perfect size for in front of the window! The cats sit there all day and night! Of course they have to fight to see who gets there first! Sooner or later I will have to get another one! Looking for a kitten play structure that saves space, but does the job at keeping your kittens busy. This Go Pet Club Kitten tree is the one you need. Made with CARB certified board that is environmentally and skin friendly, this kitten tree is perfect for a small space. 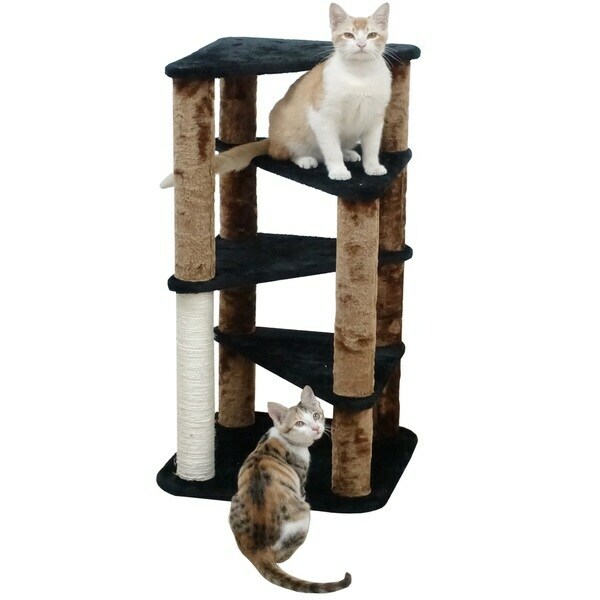 The tree is covered in high quality faux fur, which provides a soft but safe play structure for your cat. The scratching post is made with natural sisal rope, giving your kittens a safe alternative to your furniture. To clean, spot wipe with mild soap and water.